Wat is dit voor site? Wij zoeken de goedkoopste boeken op internet. The Asian Economy and Asian Moneyvonden we het goedkoopst op Bol.com voor €128.99. We hebben gezocht in nieuwe en tweedehands boeken. Rechtsonderaan de pagina kan je het boek direct bestellen	via Bol	.com. This is a new volume in the successful and long-running CEA Series . The Asian Economy with one common Asian Money is a frontier topic of study in supranational macroeconomics. If the Europeanization of Europe has become a historic reality, the Asianization of Asia cannot be far behind. The paradigm of the European Union (EU) has become a learning model for other continents, especially Asia. In Asia, the process was initiated following the Asian financial crisis of 1997-98, when several newly industrialized Asian economies suffered negative rates of growth of gross domestic product (GDP).The three (Japan, China, and Korea) plus five (Singapore, Malaysia, Thailand, Indonesia, and the Philippines) came together to became the core members of a new regional group. Their annual meetings became an institutional feature of Asian economic cooperation and regional economic integration. In 2003, the group expanded to become the four (Japan, China, Korea, and India) plus 10 model (the original five plus Myanmar, Cambodia, Laos, Brunei Darussalam, and Viet Nam). 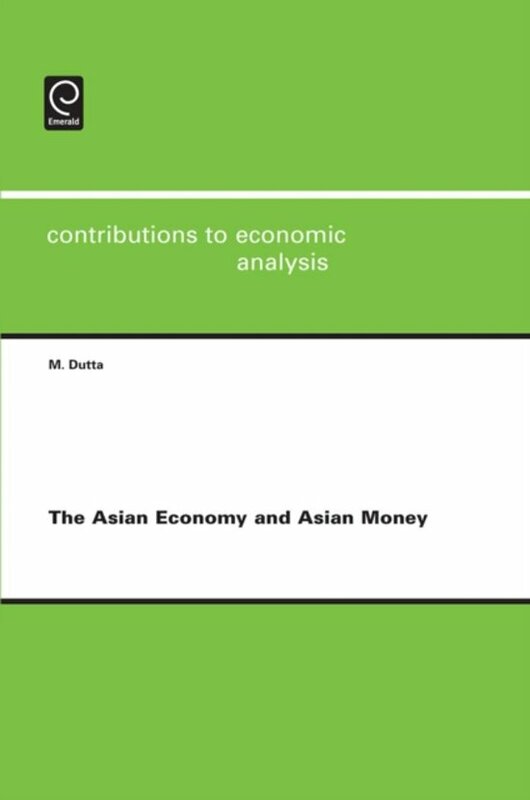 The book examines the prospects of, the justification for, and the implications of the development of a common Asian currency.